Summer. It’s a wonderful time of year. A time for BBQ’s, ice cold watermelon, and lemonade shake-ups. It’s also the time of year to work on those tan lines (and those muscles) on the back of a hay rack, and for some it’s a time to experiment with new crops. Crops such as emmer wheat and 4010 forage peas. Some of you may remember this video of one of our customers, Mark Doudlah, explaining why he incorporated 4010 forage peas into his rotation last year, and this year, he’s adding emmer wheat into the mix. Emmer wheat is mainly used for human consumption in breads and pasta, largely due to its high fiber content. It has, however, been used in animal feed. To get this blend off to a good start, Doudlah used Myco Seed Treat, and at early spring green up, applied Bio Humus to help anchor the nitrogen. After flag leaf, he’ll do a foliar of SP-1, Pillar 15, Dramm E, and Potassium Sulfate. We’re looking forward to seeing how his emmer wheat yields at the end of the season. And as always would be happy to assist you in any fertility concerns you may have. What do some of our favorite outdoor activities have in common? Activities such as hiking, biking, running, fishing, and gardening? They’re all made possible through the soil. 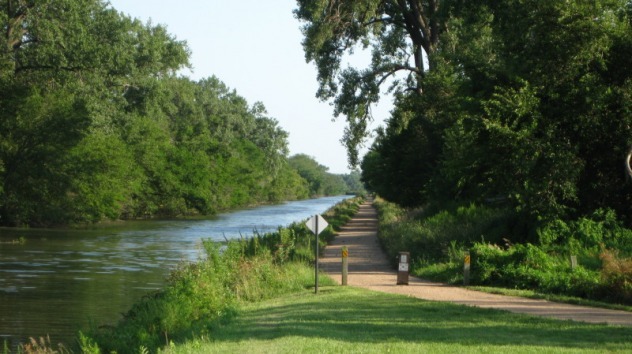 The Hennepin Canal State Trail is a popular running, biking, and fishing spot around here. Soils set the foundation for our hiking trails, our national parks, our gardens, and all the outdoor areas we enjoy. Not only does proper management of recreational areas help mitigate the negative impacts of erosion but spending time outdoors is linked to positive effects on physical health. Studies have shown that ‘feel-good feeling’ you get after being outdoors, may be caused by a strain of bacterium in the soil. Mycobacterium vaccae, has been found to trigger the release of serotonin, which in turn elevates mood and decreases anxiety. What’s your favorite summer outdoor activity? Join us this month as we discuss soil and recreation as part of the International Year of Soils!